I keep waiting for this record to catch on within the parameters of its target audience but nearly a year later it remains hardly covered outside the usual bought and paid for media outlets. This is not surprising as the scene Binary Park operate within pay attention for roughly a month before moving on to whatever the next big revelation is. It is this attitude which keeps acts like this one, Haujobb and Mind.In.A.Box on the shelf. It is all about what you have done in the last few weeks which defines worthiness in that realm. Binary Park are about the possibilities technology can be harnessed to serve. Through the sublime employment of restraint our trio compel their listeners to really breathe in their tracks. There’s nothing disposable about this, it has personality and will take you to depths you couldn’t have dreamed of in the span of a surprisingly accessible electronic record; you’ll find a bleeding mechanical soul peeking through here and there along with incredible contrasts derived from painstaking control of every last detail. ‘Singularity’ is the perfect choice for an album title, the focus never lets up for a nanosecond. The members of this band know exactly what they want from their machines and command them accordingly; they also feature a vocalist who isn’t afraid to harmonize what he sings and doesn’t camouflage his voice with endless effects. It’s dark here, oh yes but for all the amazingly nuanced programming a lot of humanity manages to come through as though they didn’t want to be overtaken by the technology they’re piloting with expert ability. You could say they have a bit of pop to them but then they also have loads of other bits and pieces comprising their overall sound. One can hear techno, EBM, darkwave, rock and even ambient in their matrix; to call what they do diverse seems almost too simplistic, just try to catalog all the complexities they cram into a single song. Pack a lunch before you start is my only advice. If this had any more of a polished sheen it would blind me, there is not one note out of place here. In the 1990s we were inundated by records such as this one: quiet, introspective masterpieces designed to make you think and utterly lose yourself within. 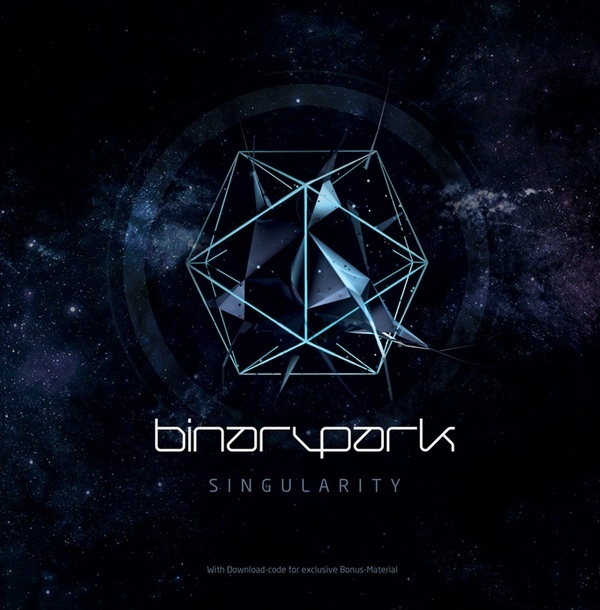 Binary Park bring this mindset forward and keep it thoroughly modern, they demonstrate where things should have ended up and they do it so stylishly you’ll wonder how you ever got along without them.